Russian were suppressed by the censor but German publications were tolerated, his literary activity, of a necessity, centred in Germany. 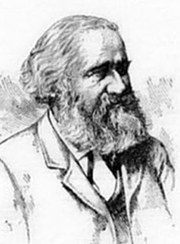 He founded the Psychische Studien which, under the changed title Zeitschrift far Parapsychologie, is still running, and was instrumental in provoking the first strictly scientific Russian investigation of spiritualism. table movements and raps by this agency. To this report Aksakof returned, under the title “A Monument of Scientific Prejudice, a caustic reply”. In 1876 he asked permission to publish in St. Petersburg a monthly, “Review of Mediumship”. It was refused. Thereupon, in 1881, an organ with an unmeaning title, “Rebus”, was founded and largely subsidised, after funds went low, by Aksakof to popularise the teachings of Spiritualism. externalisation and objectification. 3. Under the name spiritism we include phenomena resembling both personalisation and animism but which we much ascribe to some extra-mediumistic and extra-terrene cause. They differ from the phenomena of personalisation and animism in their intellectual content which affords evidence of an independent personality. “Spiritualism and Science” was another of Aksakof’s important works. His literary output was considerable. One of his last translations was Col. Rochas’ “Exteriorisation of Motricity”. Under dreadful physical handicaps he kept on working to the last. His right hand became useless, his eye almost sightless. A final attack of influenza on January 17th, 1903, carried him away.